Are…are you serious? 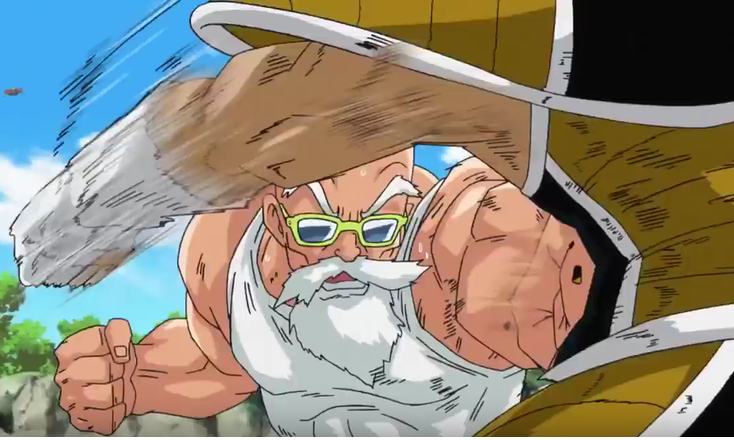 I have a hard time believing that THIS is the return of Dragonball Z’s most notable villain and a good majority of the masses are happy with it. 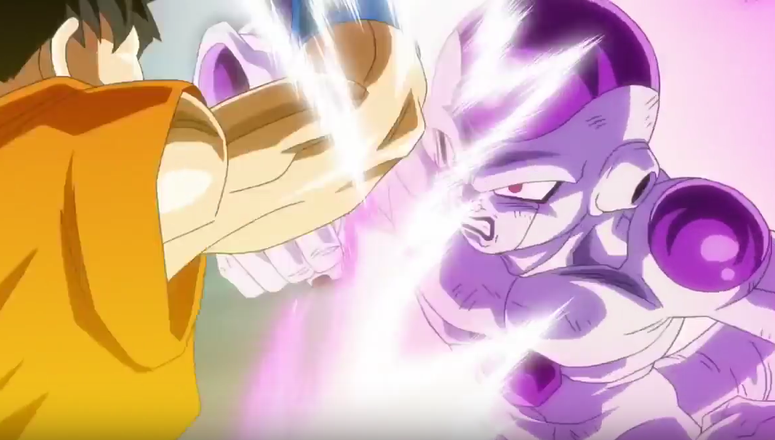 Maybe it’s because I am long past the point of liking, much less caring about, the Dragonball universe, but I thought Battle of the Gods was pretty damn good, so that left the door open for me to warrant interest in Frieza’s return movie. The lesson learned, as far as I know, is if you’re going to make a movie where the genesis is a Japanese metal band doing a song about the character, you can get away with making it stupid. STORY: Generally the story really never matters in these DBZ films, it’s not like context of the plot ever has cohesion with the franchises’ overly bloated, ridiculous fight scenes after the initial Frieza story arc. So much like almost half of the 15 movies, shadowy bad guys want to use the Dragonballs for some nefarious purpose that never results in them wishing for immortality right off the bat. This group of numbskulls are remnants of Frieza’s army. Sorbet, diminutive brownnoser who sounds like Warren Beatty to me. Tagoma, yet another 13th tall, skinny, bald guy, and maybe the others had names, but it seriously isn’t important at all. 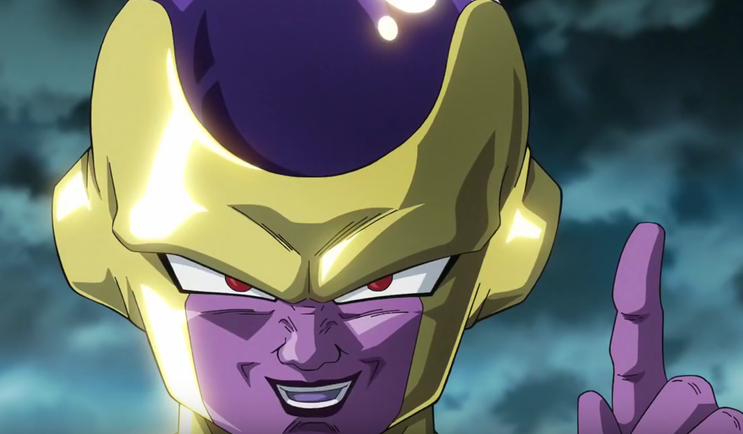 So, with this being Frieza’s great revenge, I was expecting a great sense of tension throughout the film once he’s brought back. And since this is DBZ, we need a built-in excuse why Goku and Vegeta aren’t there. 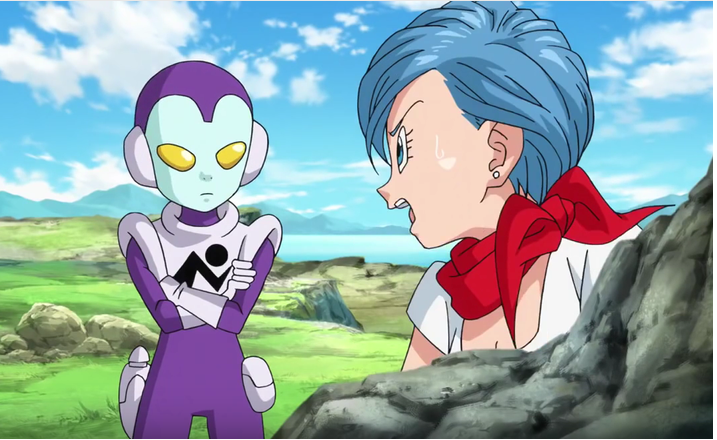 Those two are off in Beerus’ world, training [WHAT A SHOCKER] with Whis. Fine, whatever, but the path of carnage I was anticipating was instead virtually absent. 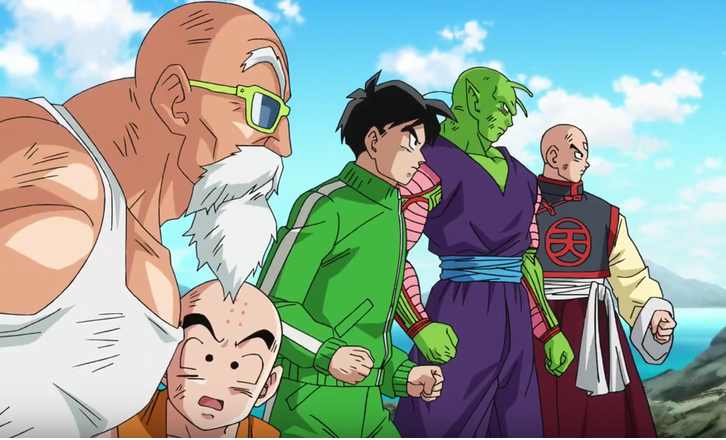 Earth’s forces to stand against the former galactic overlord are Piccolo, a shriveled up Gohan (more on that later), Krillin, Tenshinhan, a character named Jaco, I assume he’s from Cho, which I haven’t seen, Bulma, for no discernable reason other than to make my ears bleed, and……Master Roshi… who hasn’t done anything useful in Z up to this point. 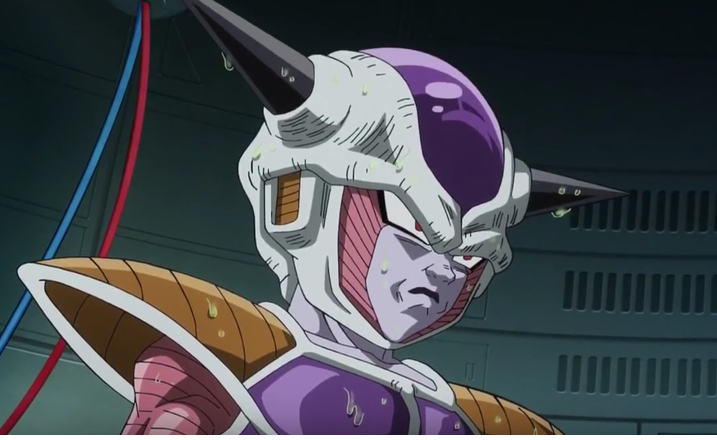 So this standoff is Frieza, allegedly blinded by revenge, coolly sitting off to the side watching the Z Fighter B Team play mop-up duty with generic henchmen. Why not turn it completely into Final Fight and have Krillin kick a garbage can to reveal a health replenishing hamburger?! 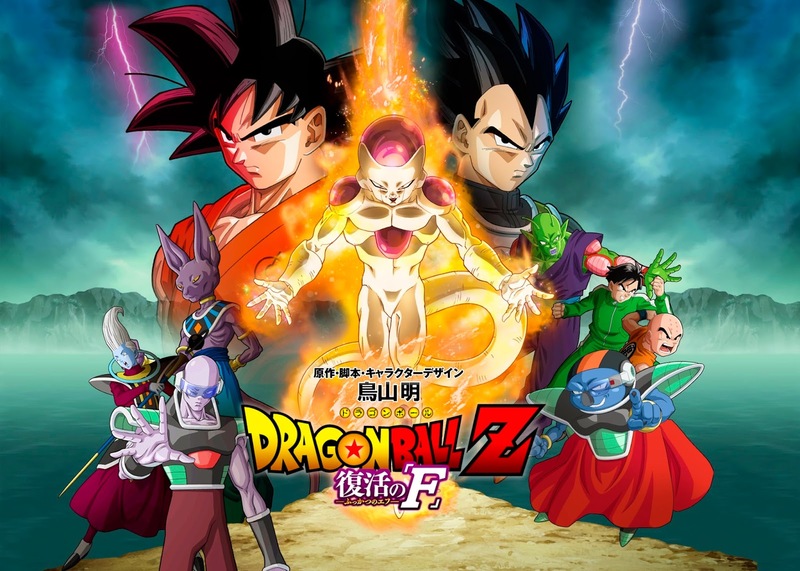 This entry was posted in Anime and tagged action, Anime, Bulma, Chris Ayers, Chris Sabat, DBZ, Dragonball Super, DragonballZ, Frieza, Gohan, Goku, Krillin, Monica Rial, Otaku, Piccolo, Resurrection F, Review, series, Sonny Strait, Super Saiyan, Vegeta, voice actors. Bookmark the permalink.